Wondering which plants are worth buying? While price may play a role, it’s the return on your investment that should ultimately determine which plants you choose to grow and which you leave behind at the garden center. Bargain plants are those that give more than they take – the ones that require minimal input for maximum output. 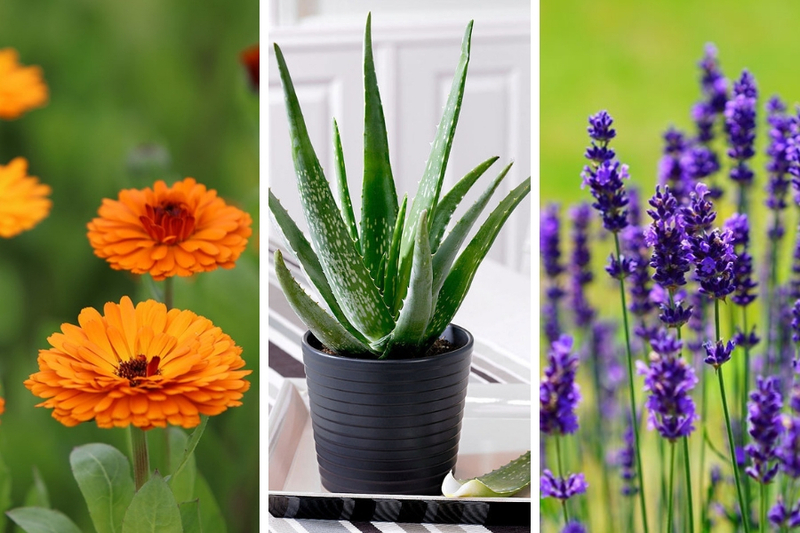 From fruit trees to wildlife magnets, from multi-purpose plants to healing herbs, here are 10 fail safe options to give you the best bang for your gardening buck. Lavender is a hardy plant that doesn’t require a whole lot of care once established, yet it provides an excellent return on investment. Lavender is incredibly aromatic and repels mosquitoes, flies, fleas and moths while attracting pollinators to your garden. You can also use the buds to make your own lavender oil to reduce stress, anxiety, headache, and even improve sleep quality. The benefits of lavender don’t end there though – it can also be used for beauty, in baking and drinks, around the home and so much more. Apple trees provide fantastic value for money – especially if grown from seed, although that does require a lot of patience to see results! Not only do apple trees look great – producing fragrant pink blooms – but they can be trained to bend over arches and along walls. Of course, you’ll also get the added bonus of fresh organic apples and all the health benefits they bring. One of the best annual flowers to grow, trailing nasturtiums require little care, add fun and color to raised garden beds or hanging baskets, and are edible! They bloom all season long and even do well in partial shade. Use their red, orange, yellow and pink petals to garnish salads, risottos, desserts and drinks. This North American native wild flower is an eye-catching self-seeding perennial, usually boasting beautiful golden leaves contrasted by dark centers. However, the flowers can also come in bronze, mahogany and red. These easy to grow golden daisies perform well even in poor soil and dry conditions, and bloom from mid-July through mid-September. The Black-Eyed Susan is popular with bees and other pollinators. Zinnias are one of the easiest and most inexpensive annual plants to grow, providing a colorful and long lasting addition to any outdoor summer space. These little flowers come in a multitude of colors and, once established, require little watering. They do well everywhere – from garden beds and hanging baskets to window pots and balcony containers. Calendula’s simple beauty and sweet resin-like aroma are complemented by its low maintenance and numerous uses. It can be utilized in cooking, chicken feed, as a nourishing tea and in a fantastic homemade healing salve to beat eczema, acne and dry skin to name but a few. What’s more, these annuals bloom constantly throughout the growing season adding color and vibrancy to your garden. Once you catch a glimpse of the bee balm, you’ll understand why it’s a favorite of the hummingbird – as well as other birds and bees. Its bright red showy flowers (which also come in pink and purple) have a glorious scent and can cover a lot of ground – perfect for gardeners on a budget. A native perennial, bee balm thrives anywhere from little to full sun, although it requires moist and rich soil. Remove spent flowers and prune the plants after the first burst of flowers to encourage another bout. Nothing says summer has arrived in the garden quite like the appearance of the beautiful sunflower. This hardy and undemanding plant does well in most soil types, and is generally tolerant to both heat and drought. Sunflowers attract bees and birds and will provide you with a bounty of seeds that are high in many essential nutrients like Vitamins E and B1, magnesium and selenium. For extra ‘wow-factor’, choose the Sunzilla variety – it can grow up to an astonishing 16 feet tall while the flowers have a diameter of a foot or more. Dubbed the ‘plant of immortality’ by ancient Egyptians because it is so difficult to kill, aloe is an incredibly useful plant to have around the home. Aloe vera definitely gives more than it takes – its juice is bursting with vitamins and minerals, and promotes healthy digestion; while the gel can be used as a topical treatment for minor cuts and burns, insect bites, dry skin and more. Because it produces offsets, your initial investment will soon multiply into several plants which you can place around the home or gift to family and friends. Also known as purple coneflower, Echinacea is a bold and beautiful flower. This native plant attracts pollinators to the garden, along with goldfinches. While it thrives in poor soil and is drought resistant, perhaps one of the most compelling reasons to plant Echinacea is for its medicinal properties. A tonic of these plants has been used for centuries to boost immunity and ward off colds and flu. You can also make a healing tea with its leaves and flowers. Being a perennial, this magical plant will reappear year after year without replanting.